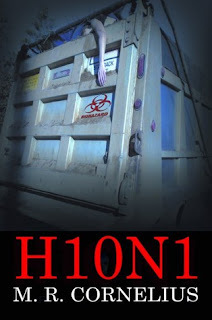 Blurb: A deadly influenza virus rages out of control. There is no easy-fix vaccine. No eleventh-hour containment. Only death. With no workforce, power plants have been shut down, police and fire departments have collapsed, crops lie unpicked in the fields. When Dr. Taeya Sanchez finds herself unceremoniously dismissed from an emergency medical facility in New York, she decides to steal the hospital’s armored van for a midnight escape. Unfortunately, Rick DeAngelo, a driver for the hospital, has already stocked the van for his own getaway. Thrown into an unfriendly alliance, these two must pick their way across the dangerous wasteland of America in search of a safe haven. And as the miles roll by, they discover that the living should be feared much more than the festering corpses out there. It took me a while to get into this book, I wont lie. About half way through I realized that it wasnt the book that I didnt like, it was the situation. I’m pretty sure I got this book quite a while ago as a freebie, and when I was going through my TBR I saw it and assumed it was about zombies. 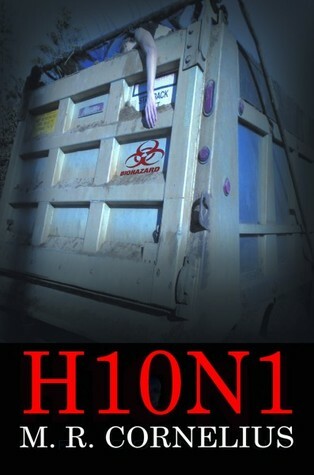 I like reading about the zombie apocalypse, so why wouldnt I enjoy reading about a flu pandemic that wipes out countries? I dont like something that I cant fight! You CAN fight zombies, but you CANT fight air born diseases. You CANT fight a bio chemical war. Once I discoved why I wasnt liking the book, I made myself look at it from purely a reviewers stand point. This was a well written book, with likeable characters. Everything invoving the human race I could imagine. If something big and bad like this happens I definatly dont see the best of us coming out. I see it like it is written in this book, where people really just forget all about compassion and create mass hysteria when there are no more items to be looted. It is a free for all, kill or be killed. Maybe I sound like a downer saying that, but honestly I dont have that much faith in humanity. In the end I would recommend this book. It is another kind of apocalypse, one that I dont like, but a good book none the less.